Shop code F2a by kind permission of House code F5a showing roof without dormer windows. Gav Miles copyright 2015. This is a customised version with open windows. Four photos by kind permission of Nigel Cox copyright 2015. 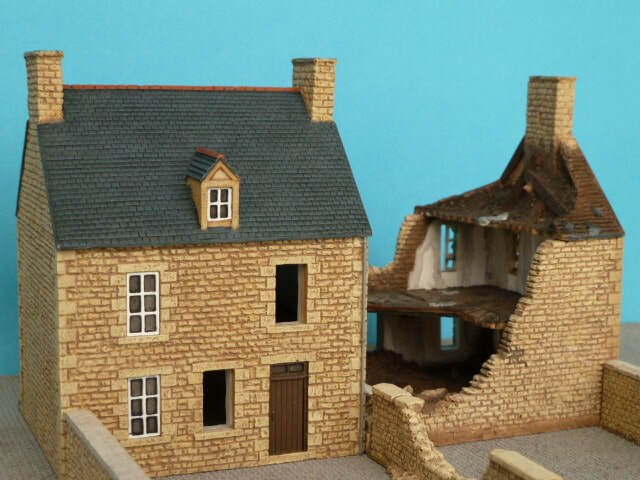 15mm Normandy Diorama with Damaged House F6 and 20mm high walls. For a painting guide by Nigel Cox for these diorama click here.